Here is a authentic Geo. 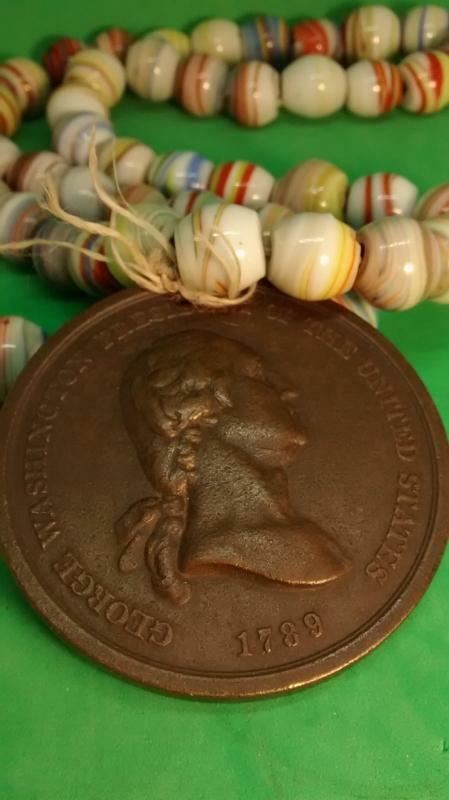 Washington Indian Peace Medal minted in 1904 just for collectors. It is dated 1789 for his time in office. 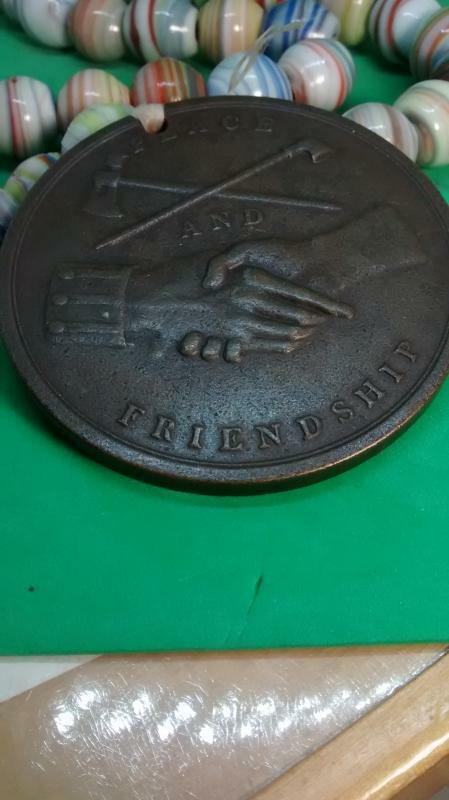 This is the large 76mm round bronzed, valued around $175. The beads on the necklace is what is valuable. These are Venetian Glass Beads 1/2 to 3/4 inch around with 3-5 mm holes. Go to any antique beads stores and see these sell at $3-$20 each. This item is just right to show off with your other historical items.